Follow the Morning Crew on Twitter! COLUMBUS, GA (WTVM) - Hundreds of jobs, millions of dollars and tons of fun are making their way to the valley in the form of white water rafting. It's a project 12 years in the making and now its official, white water rafting is coming to the area. The new campaign "Ready 2 Raft 2012" is a joint effort between Columbus and Phenix City and organizers tell us it's a long awaited announcement. John Turner, a member of the River Restoration Committee, told News Leader Nine, "It's like my birthday and Christmas all rolled into one. This has been a long time coming. It never even occurred to us when we started planning in 1998 that it would take this long but it's worth it." The project will create 700 new jobs and is estimated to bring in $42 million annually from residents and tourists. "We need people and people bring retail and restaurant development and hotel development and that's exactly what we expect to happen," said John Turner. Billy Turner, the Bi-State Project Manager added, "188,000 visitors will come to this river on an annual basis and 144,000 are from out of town. That's a $42 million economic impact, new hotel/motel tax and $1.7 million in new sales tax." 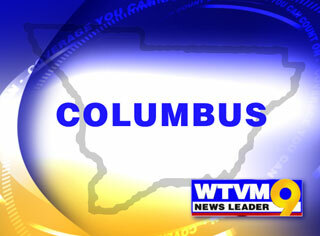 The project is a partnership between both Columbus and Phenix City with more than 100 community supporters. Although it is a plan twelve years in the making, organizers plan to officially start the building process immediately. Billy Turner said, "We hope to have someone, the first person, rafting down the Chattahoochee in 2012 and we will be working towards that every day until then." Once the "Ready 2 Raft 2012" campaign is complete, it will be the longest urban whitewater venue in the world. There's a lot more to come with this exciting news, like when they plan on hiring, and the exact mapping of the whitewater rafting path. Of course News Leader Nine will be there for all the steps. All content © Copyright 2001 - 2010 WorldNow and WTVM, a Raycom Media station. All Rights Reserved.